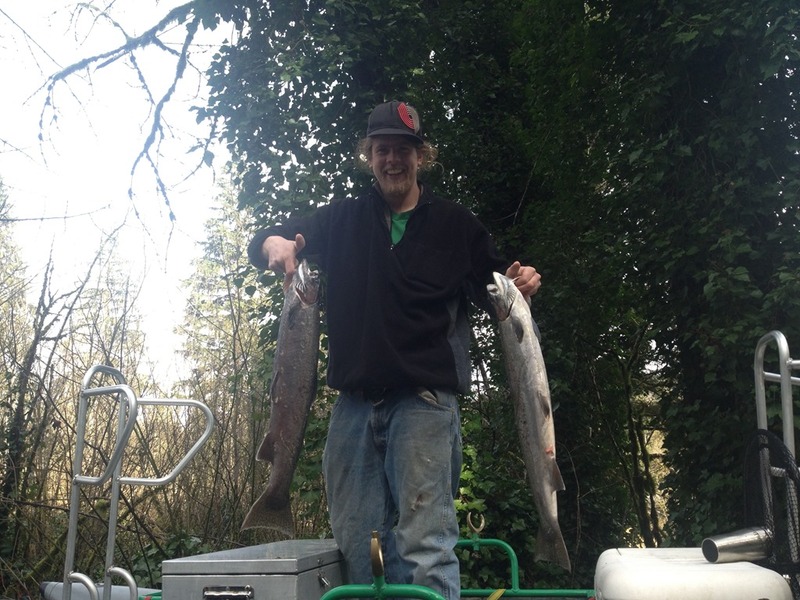 Well as you all know it has been a bit since my last post. 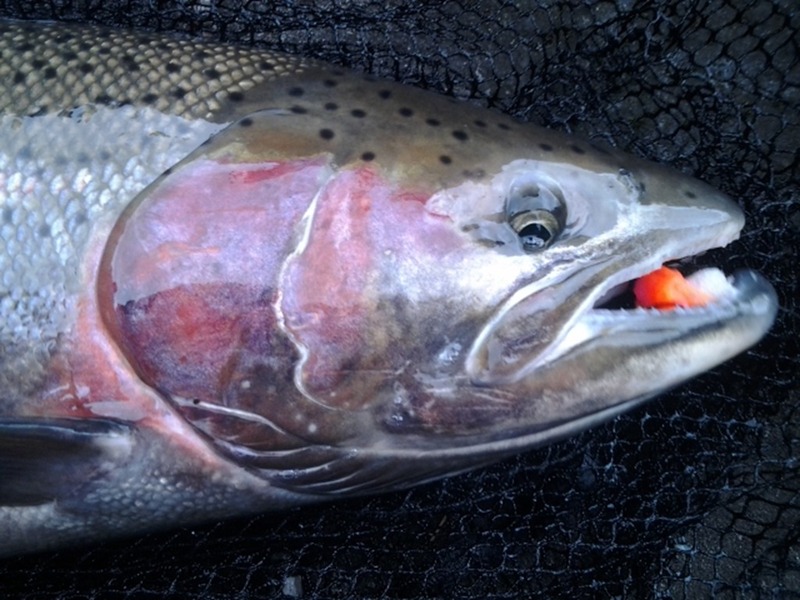 There has been a good reason for it. 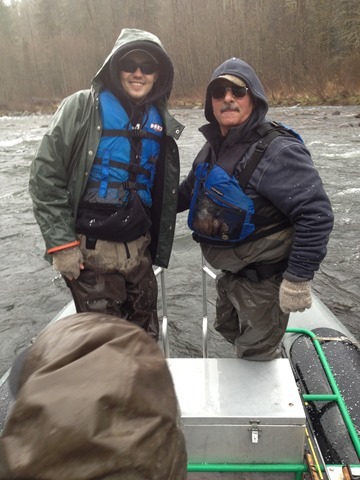 I needed to keep quiet for awhile to take the heat off the water I was fishing. 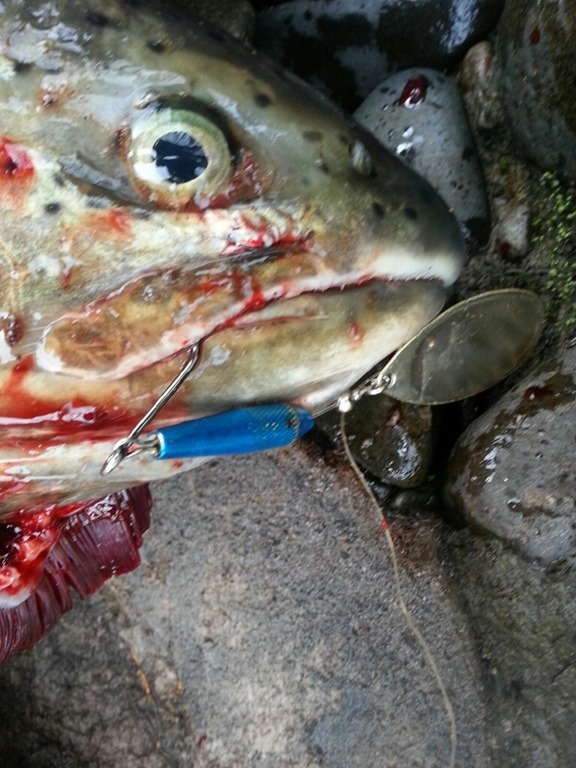 It did not seem to be all that effective, but at least I tried. 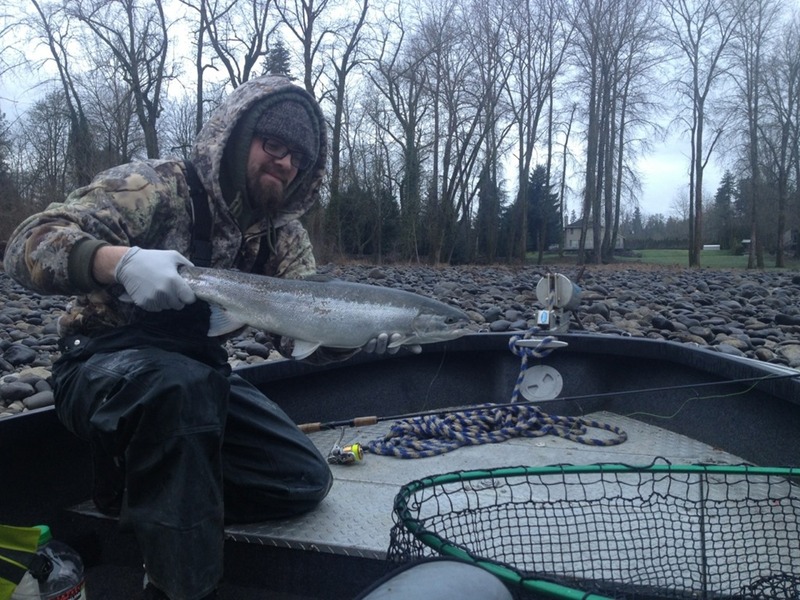 So here is the skinny on the fishing. 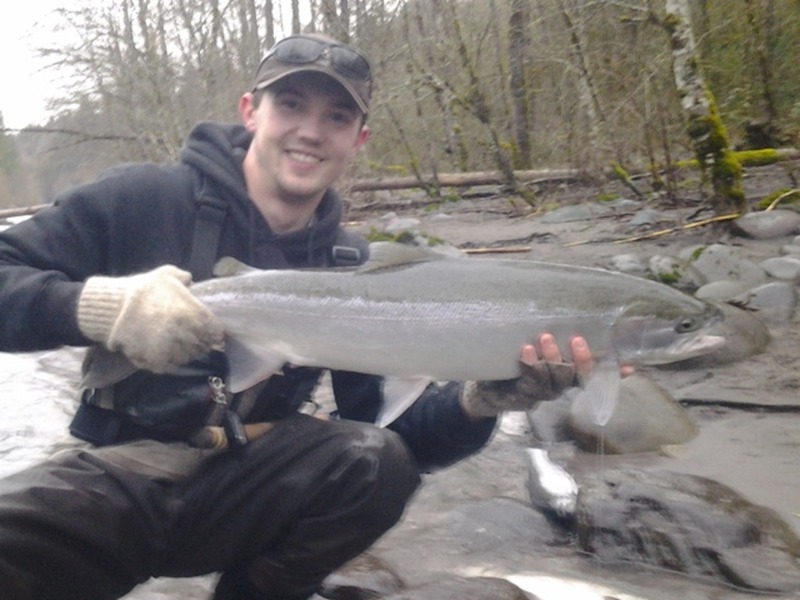 I have been out everyday but one since my last post, and the fishing has been nothing short of awesome. 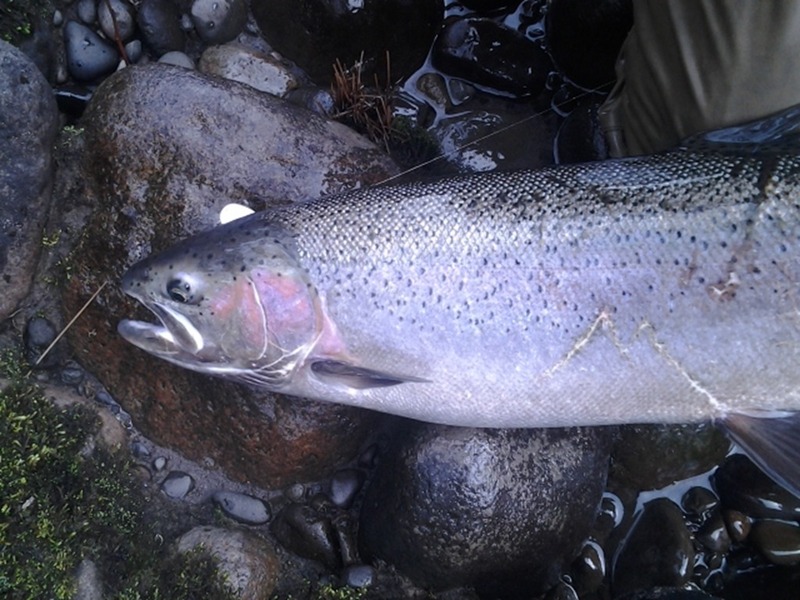 I don’t really know how many fish my friends and I have hooked the last two weeks, but I know it’s nearly 100. 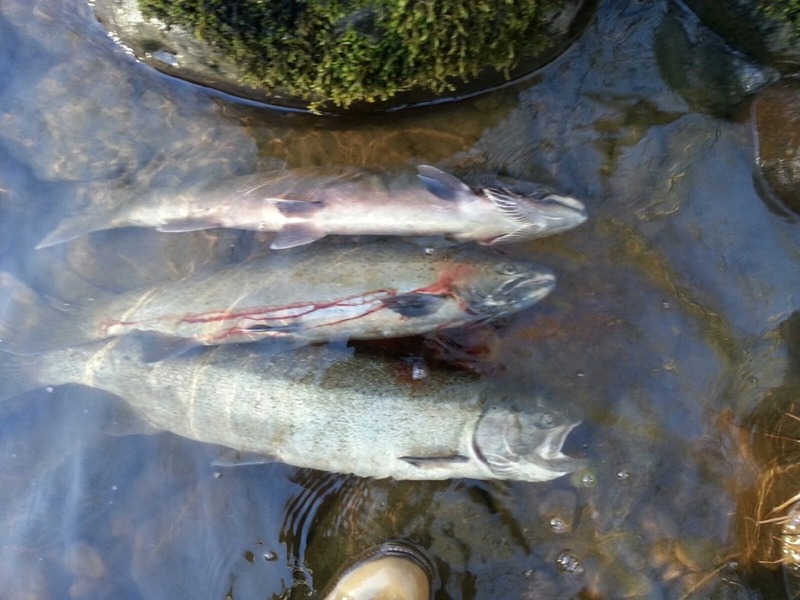 The fish started out nice and fresh, but have now started to get a bit colored up and less dynamic during the fight. 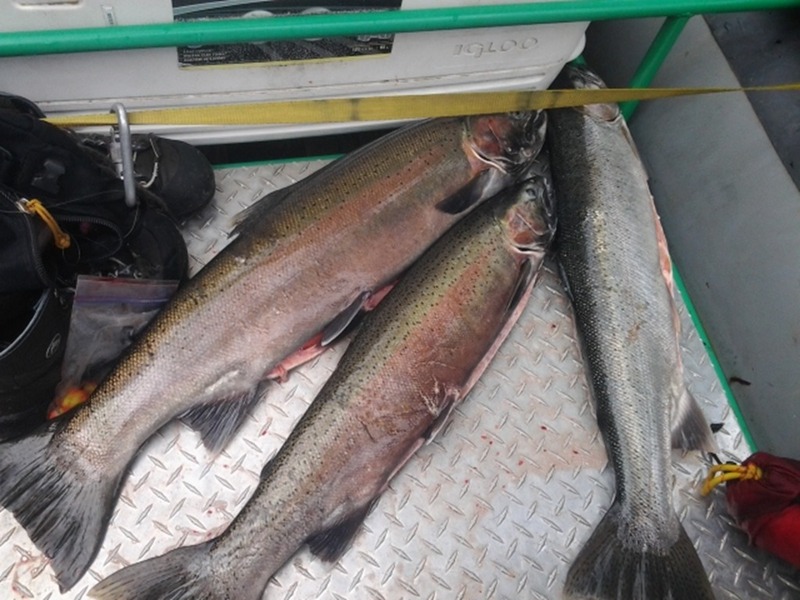 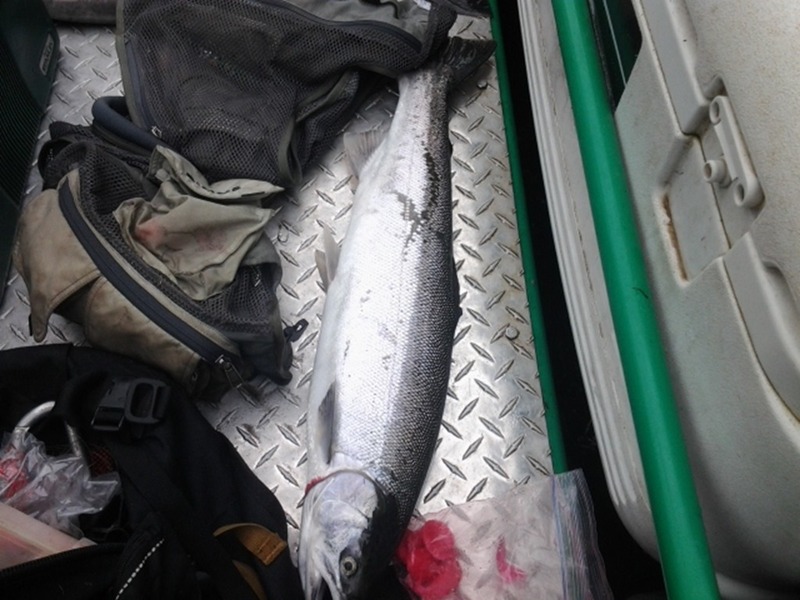 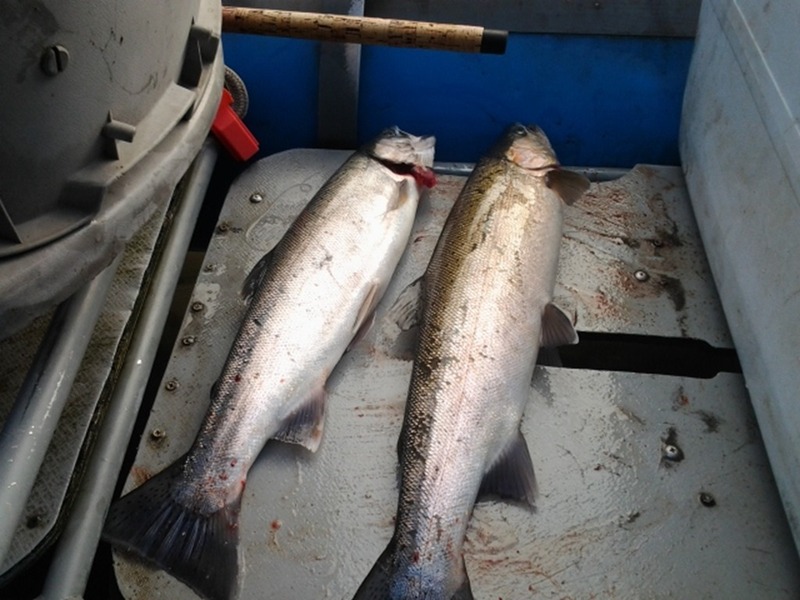 We are hoping for another shot of fresh fish to hit the river this week with the bump in water height the last two days. 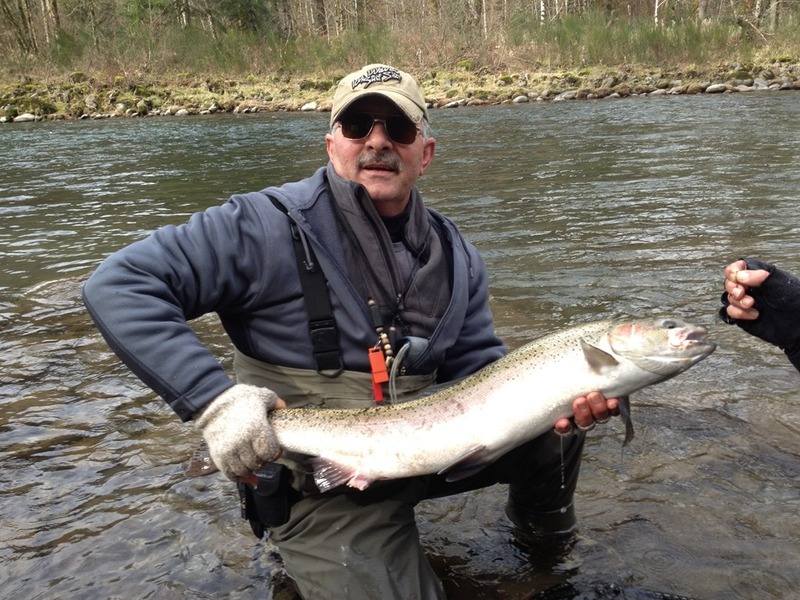 My best buddy from Colorado, (You all know him as John, one of the best guides I work with in AK, and has been highlighted on this site several times), was here the last 8 days, and we really got into some nice fish. 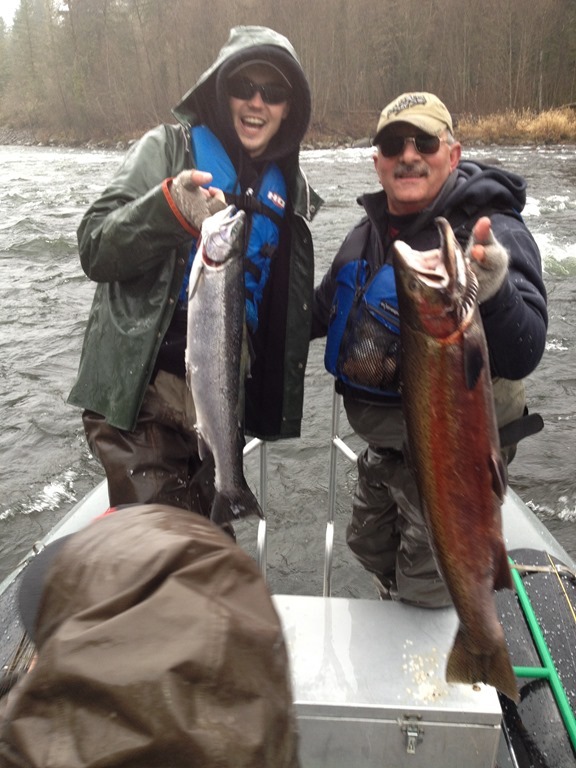 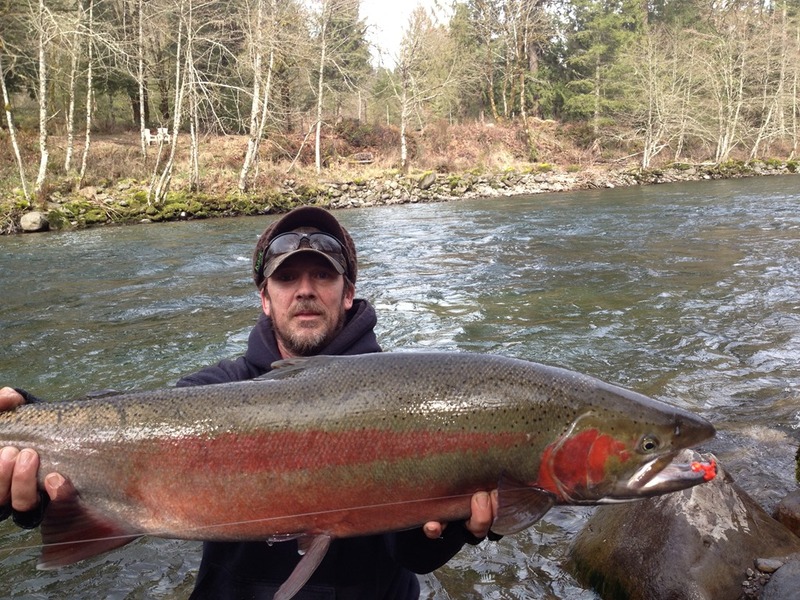 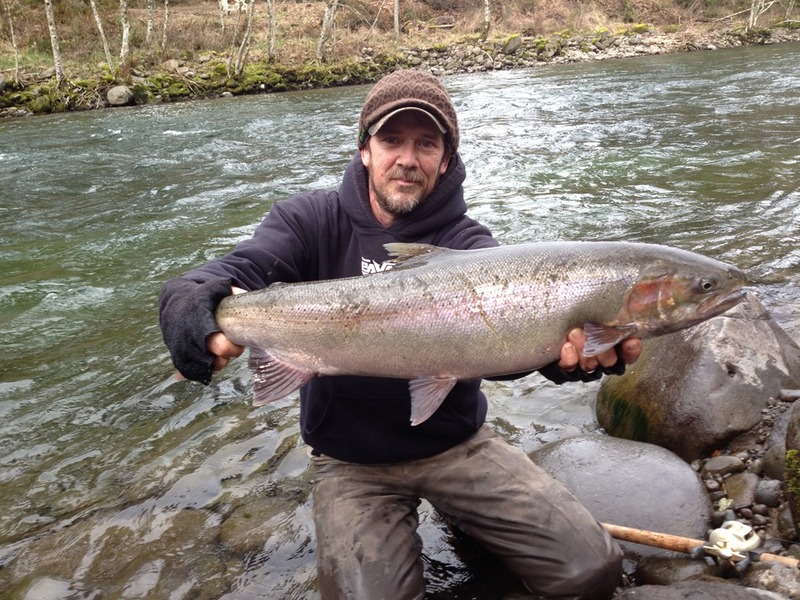 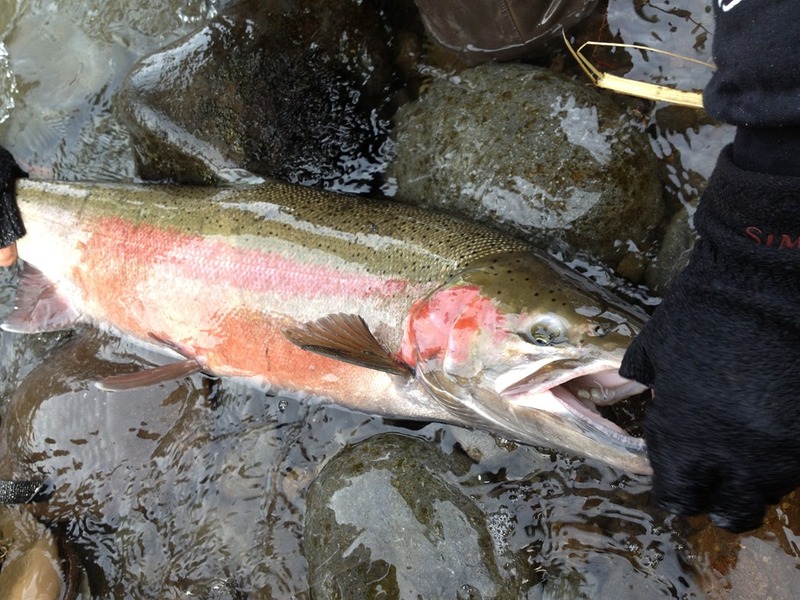 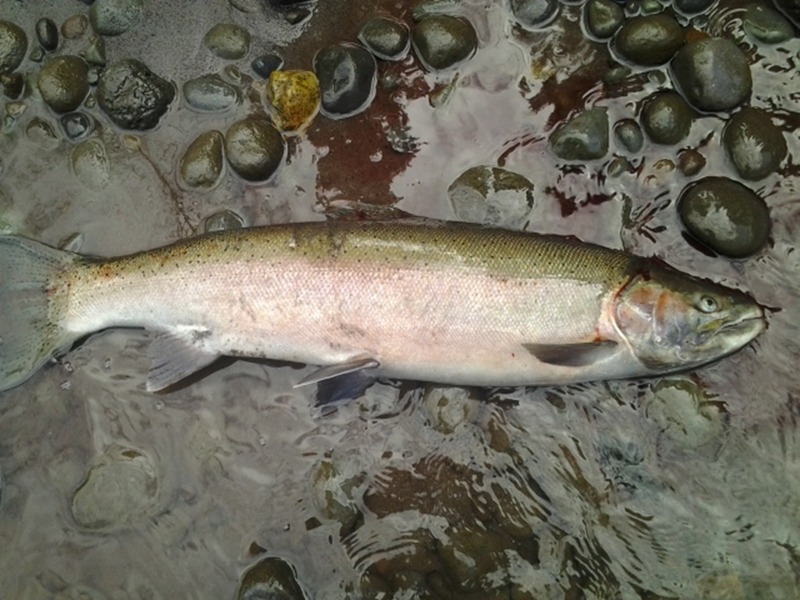 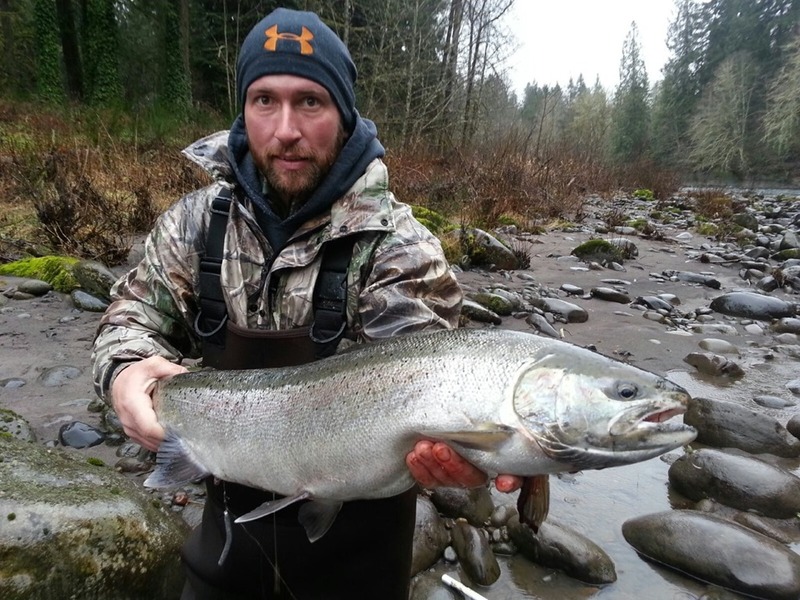 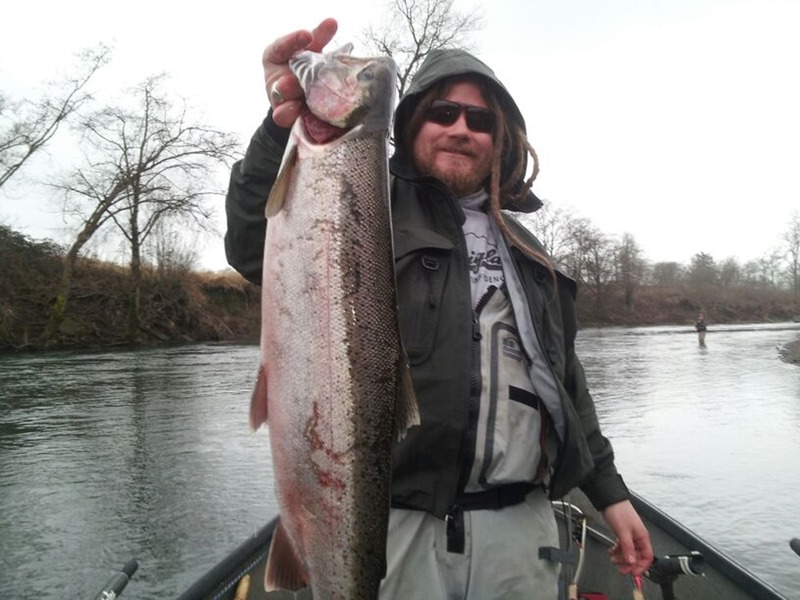 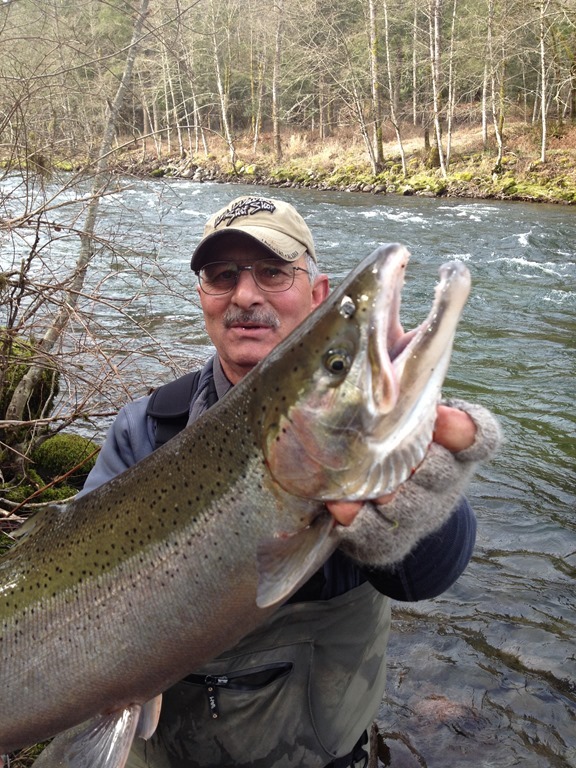 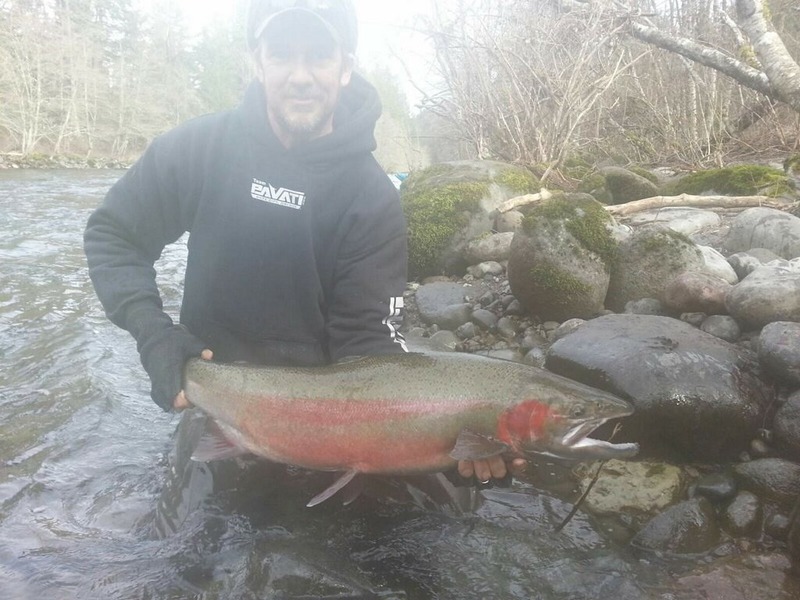 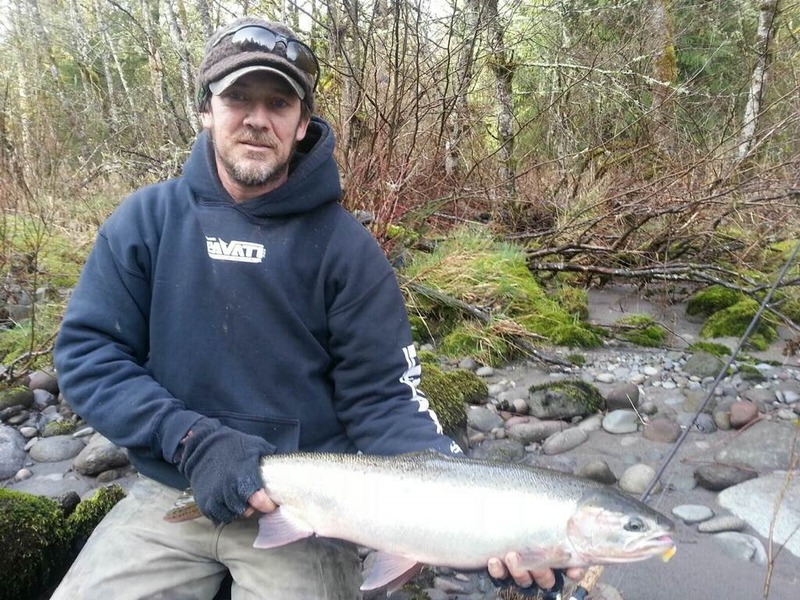 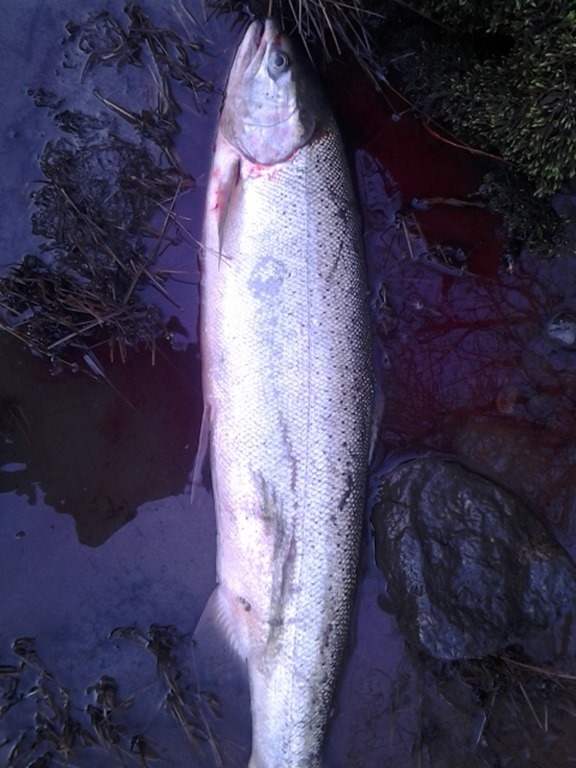 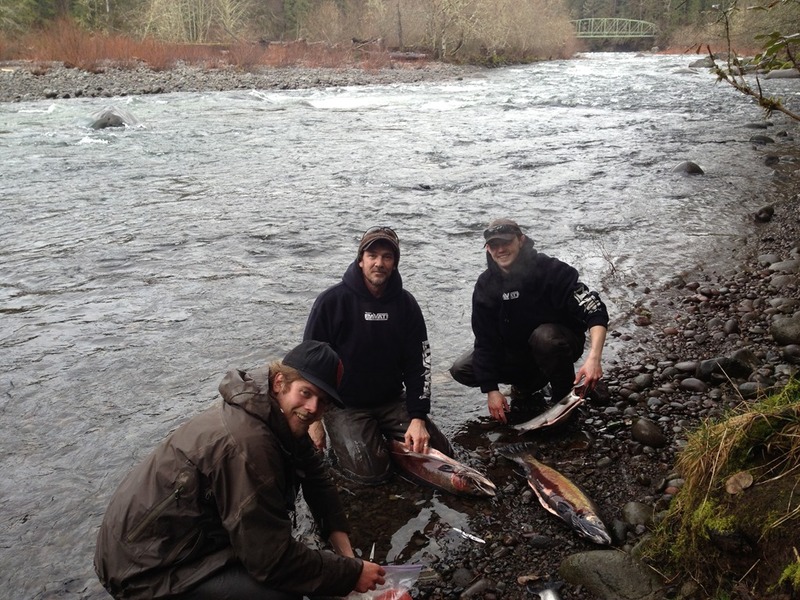 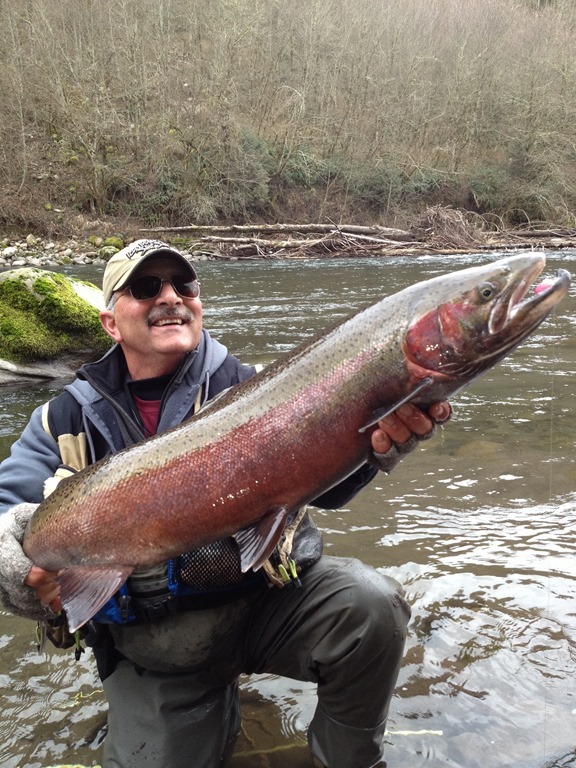 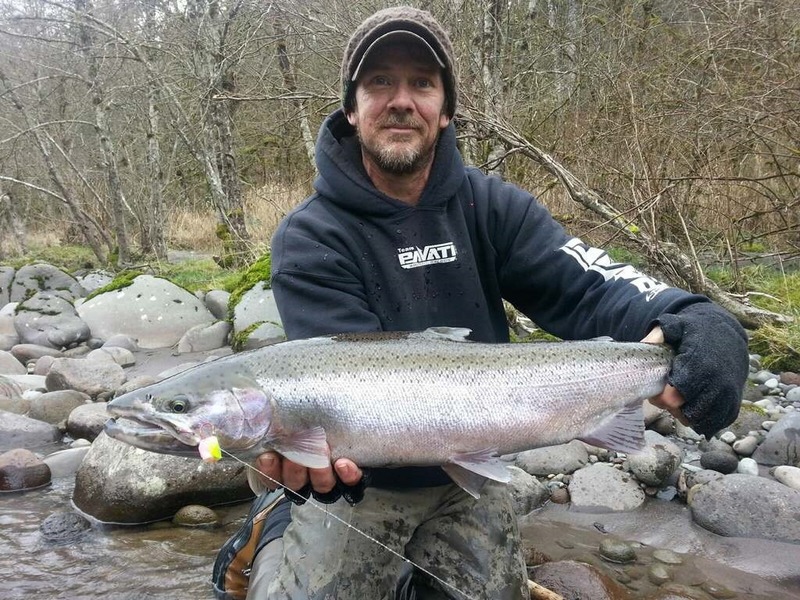 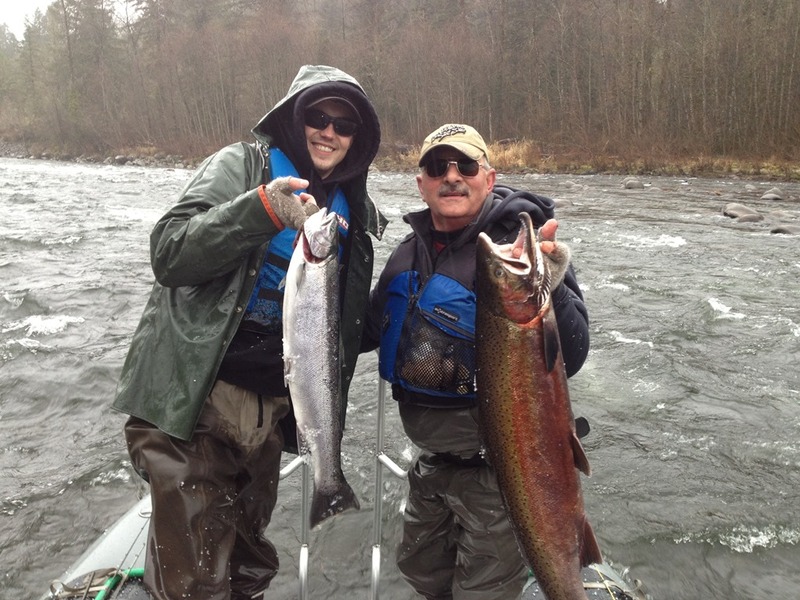 Got some great pics of some big Steelhead John got into. 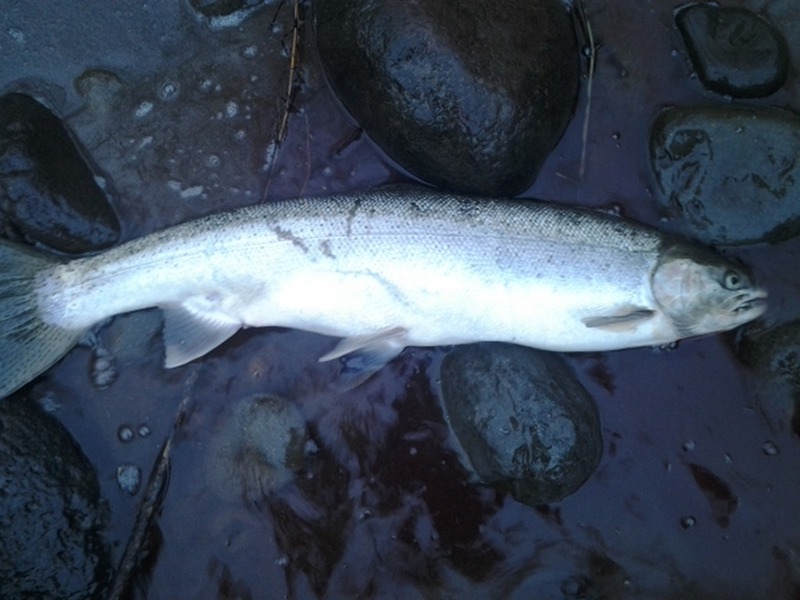 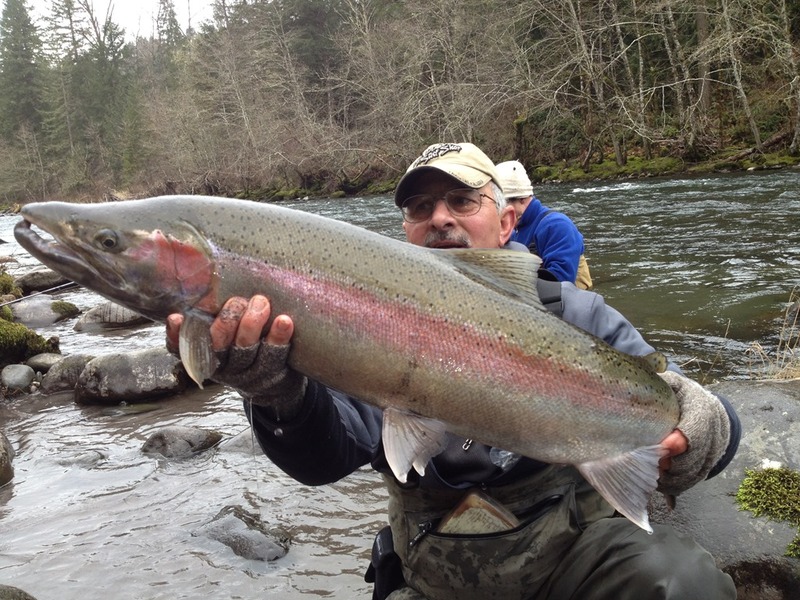 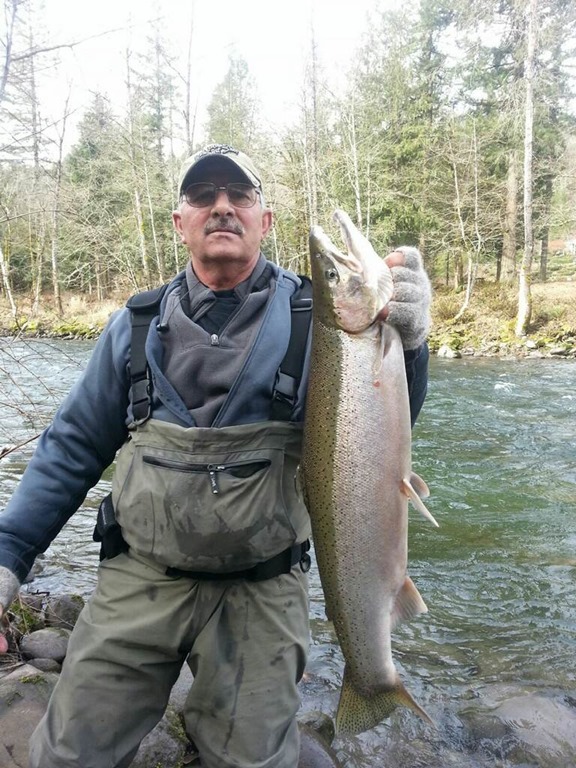 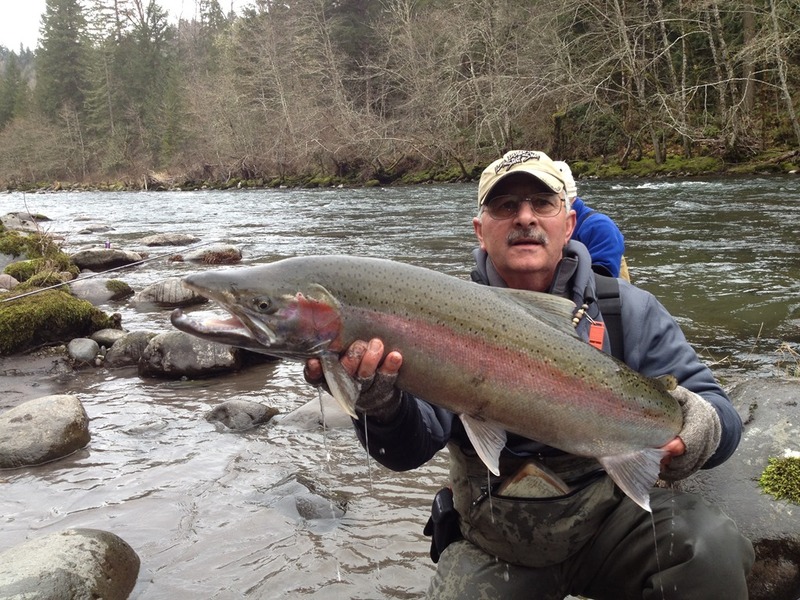 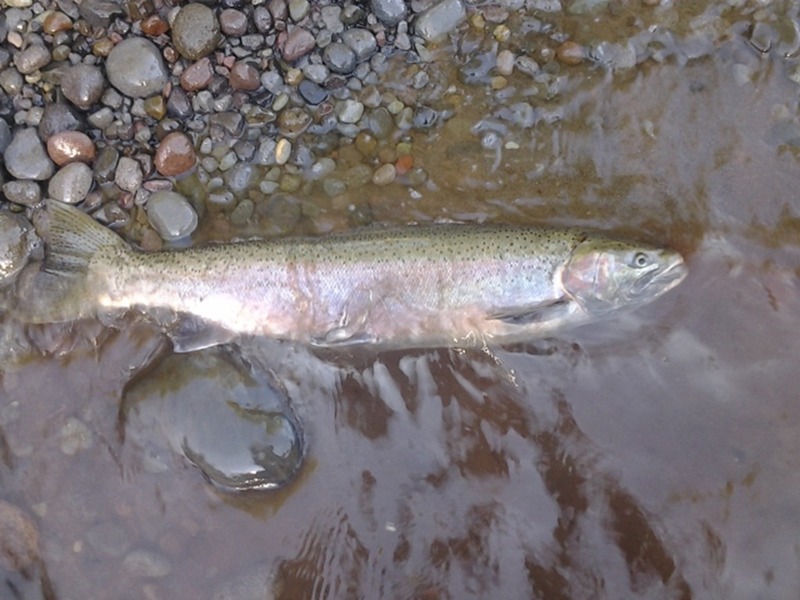 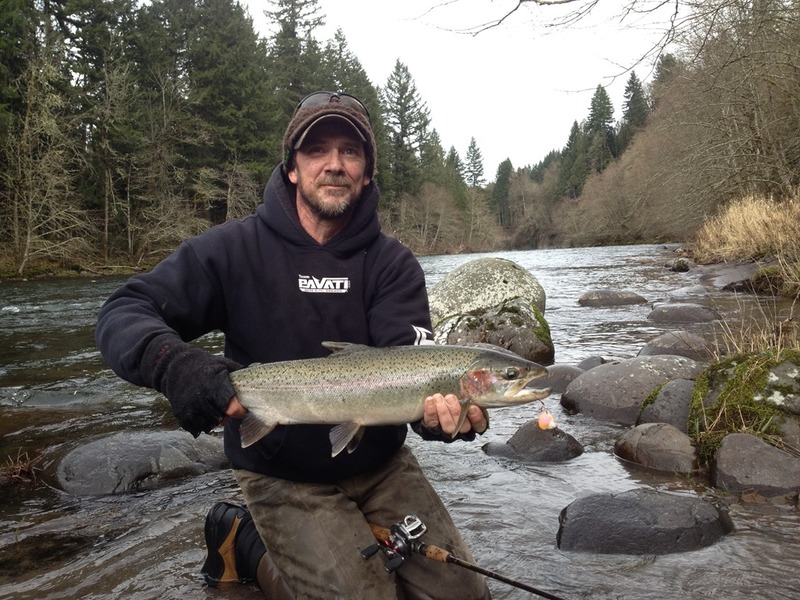 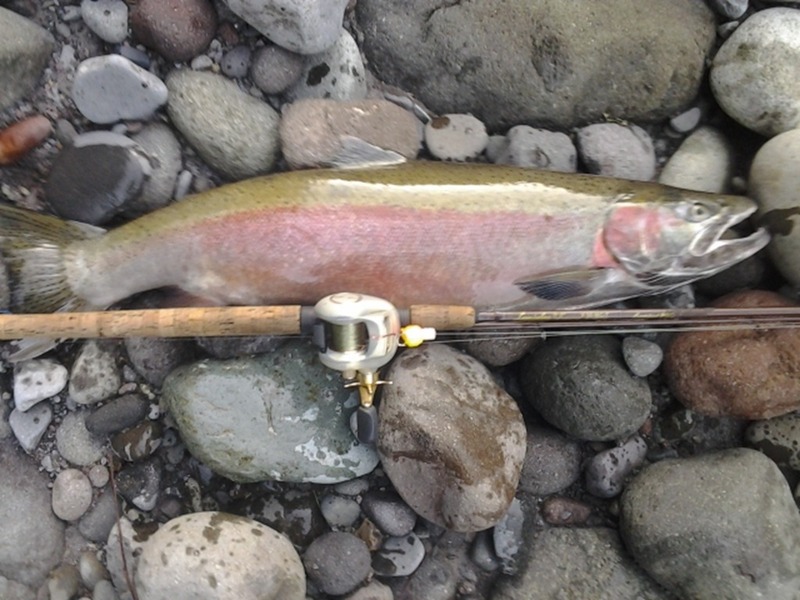 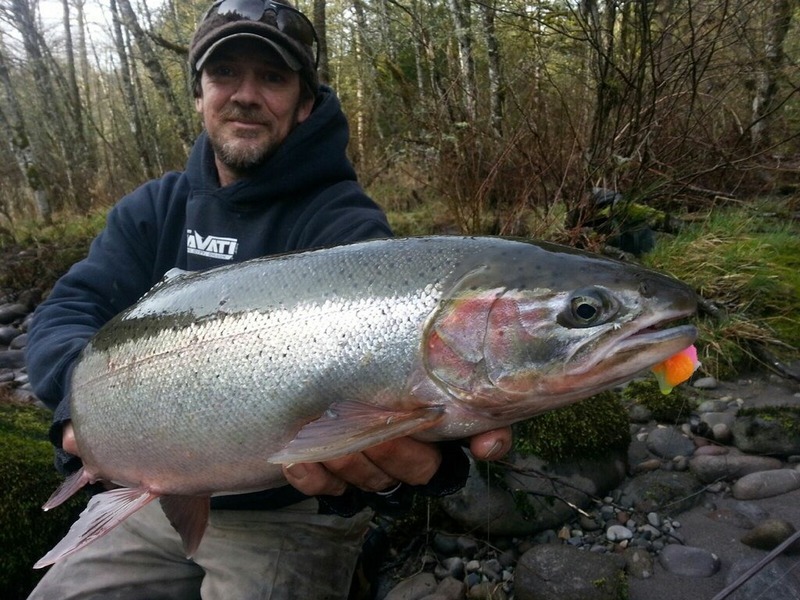 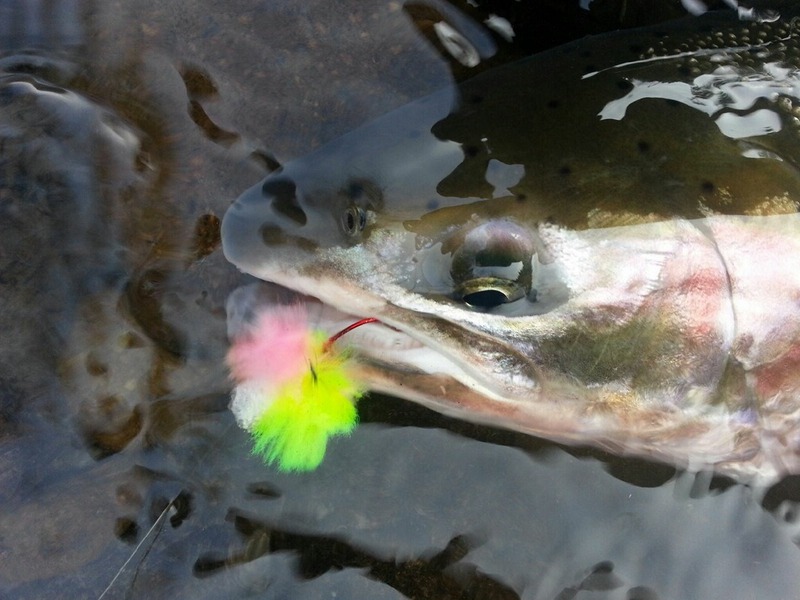 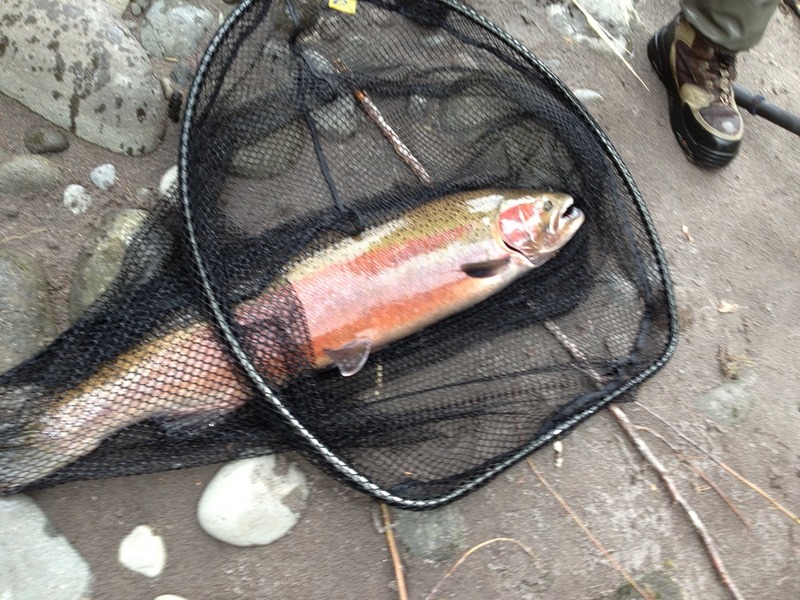 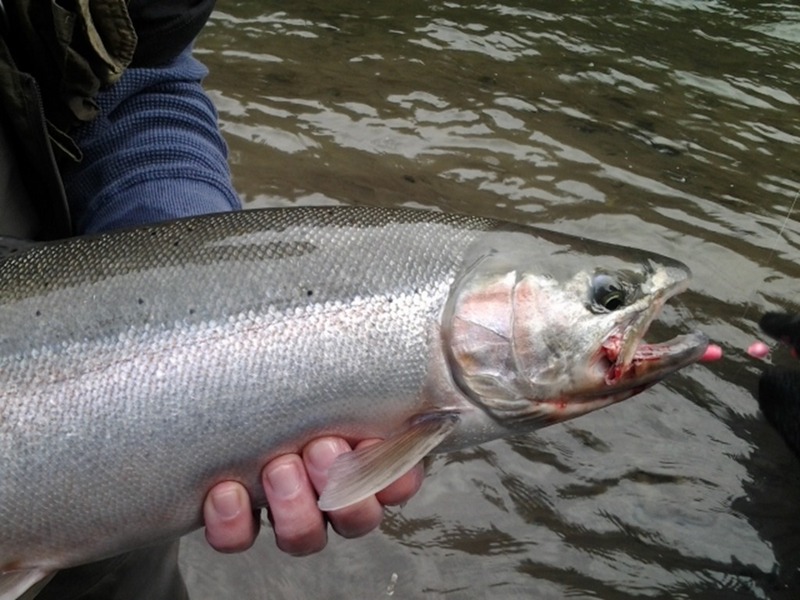 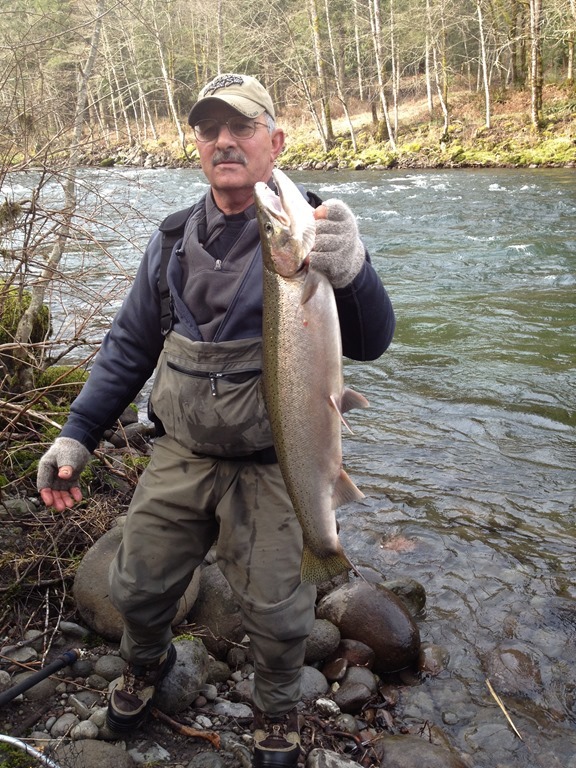 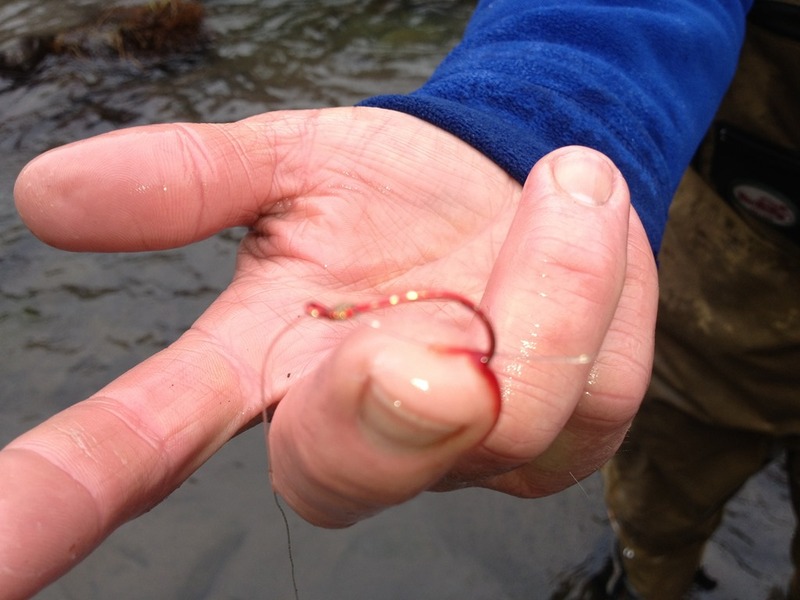 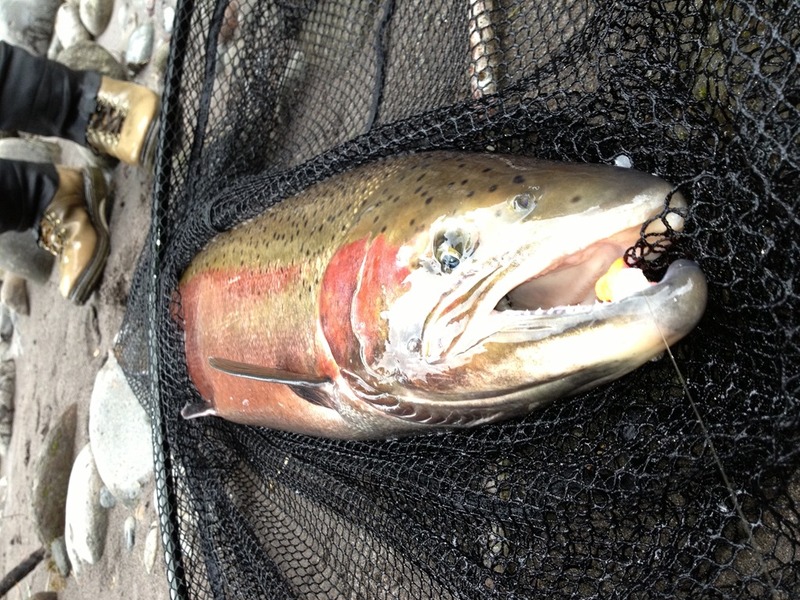 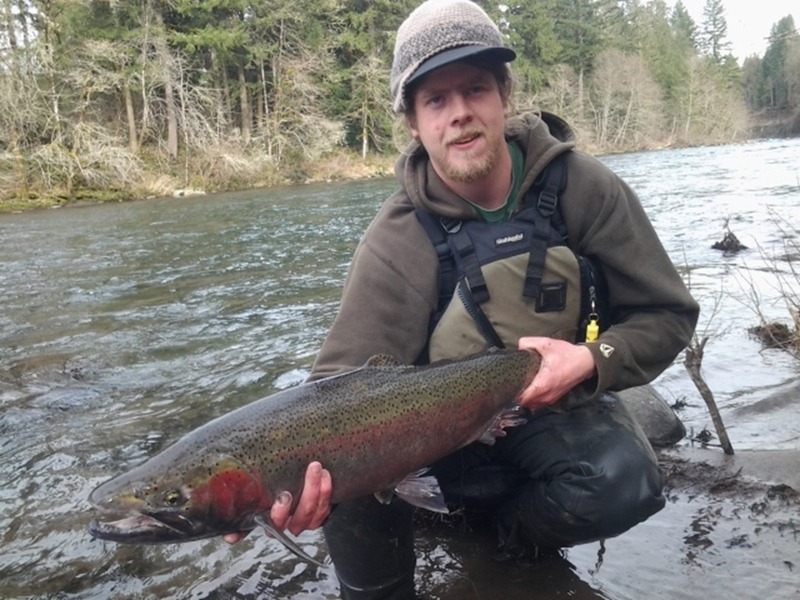 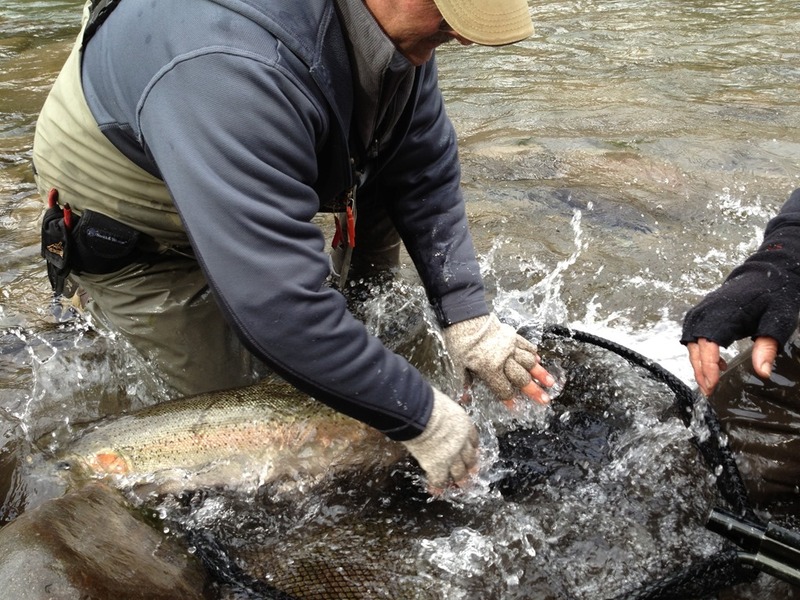 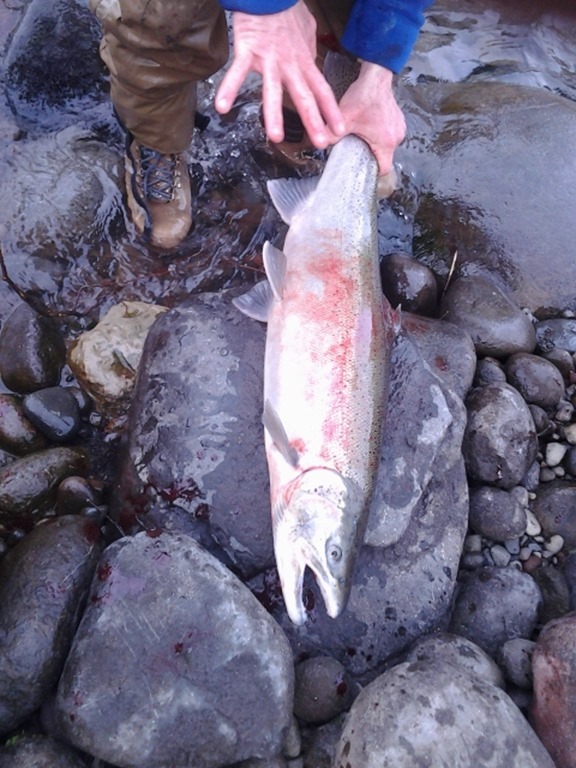 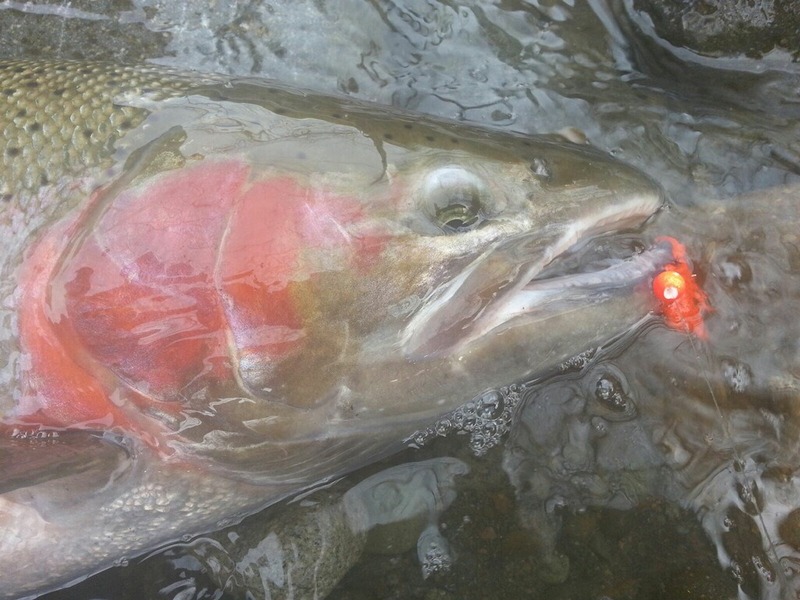 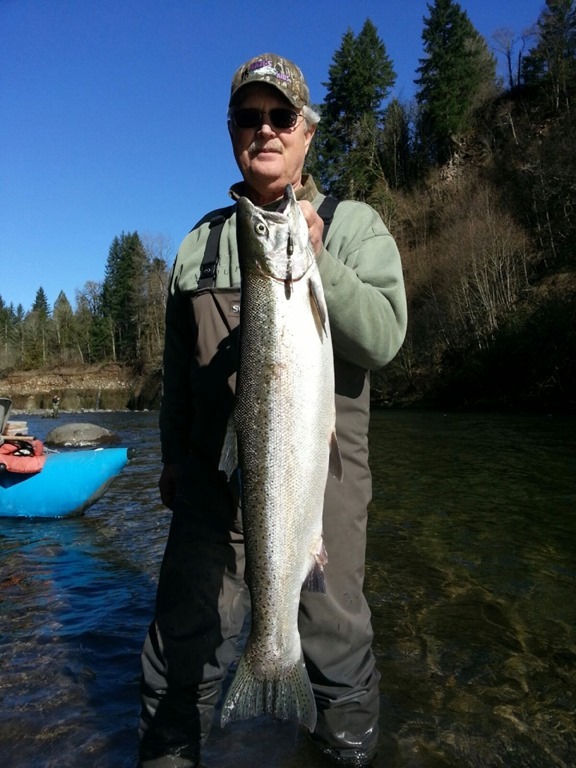 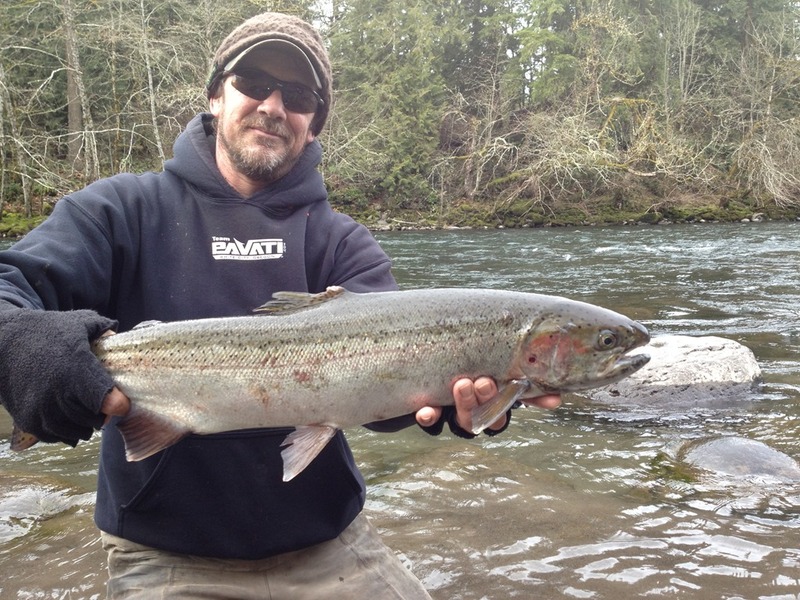 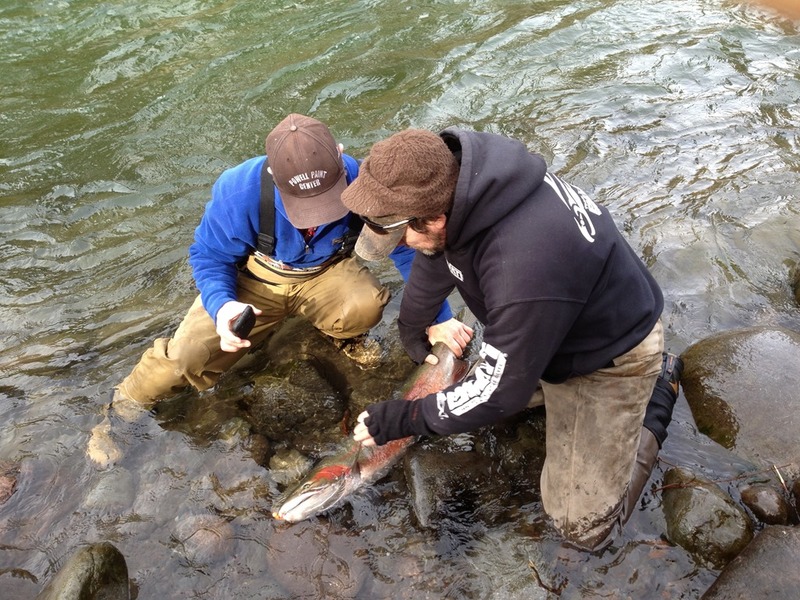 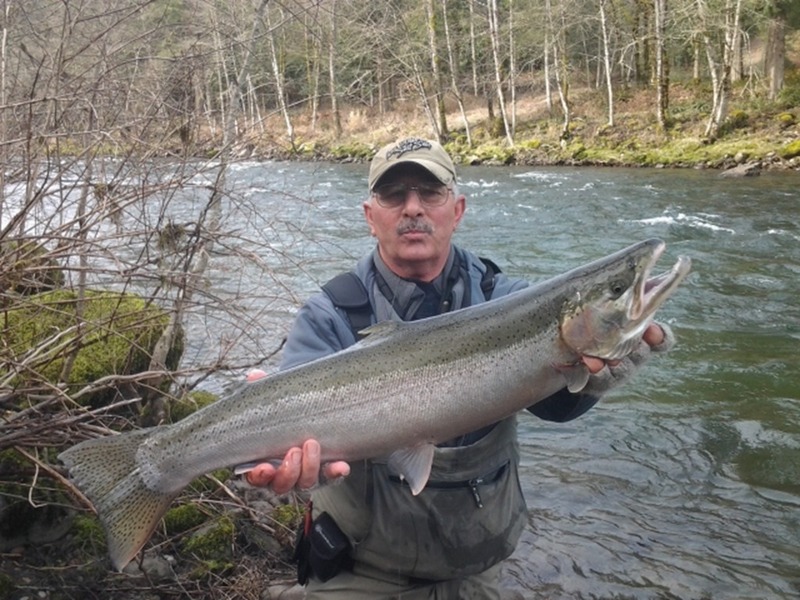 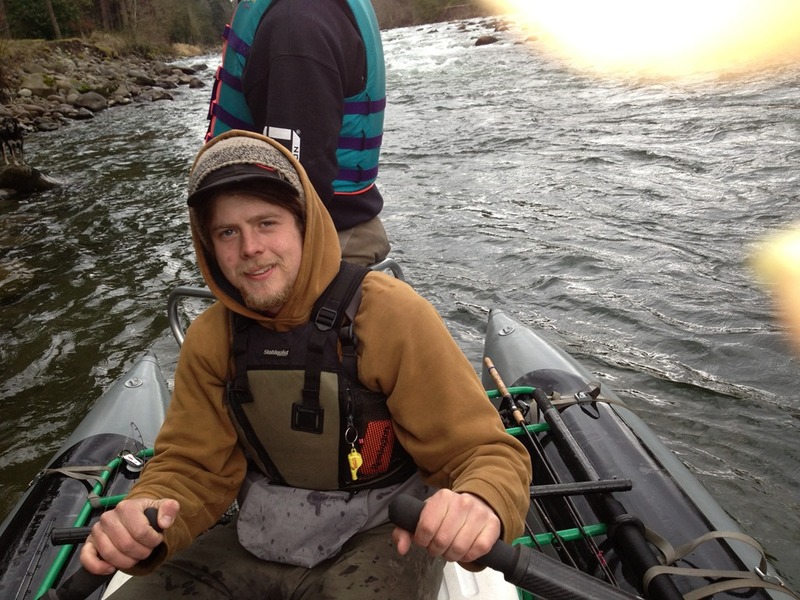 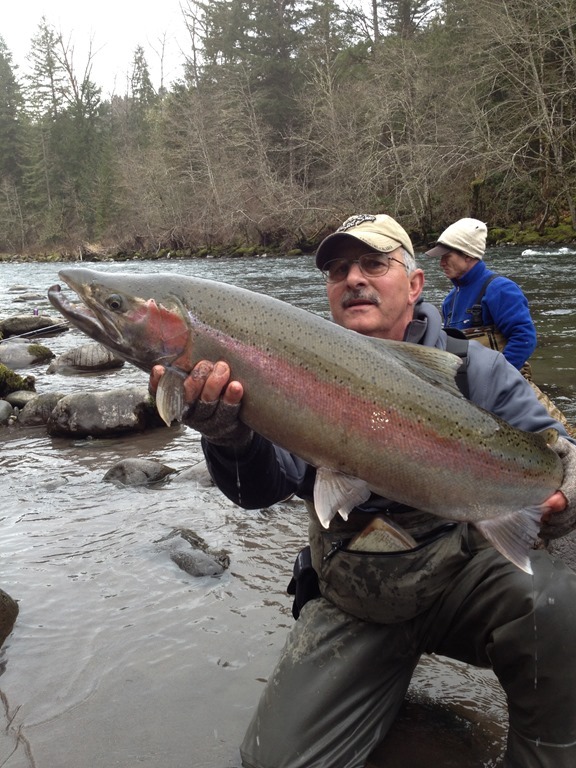 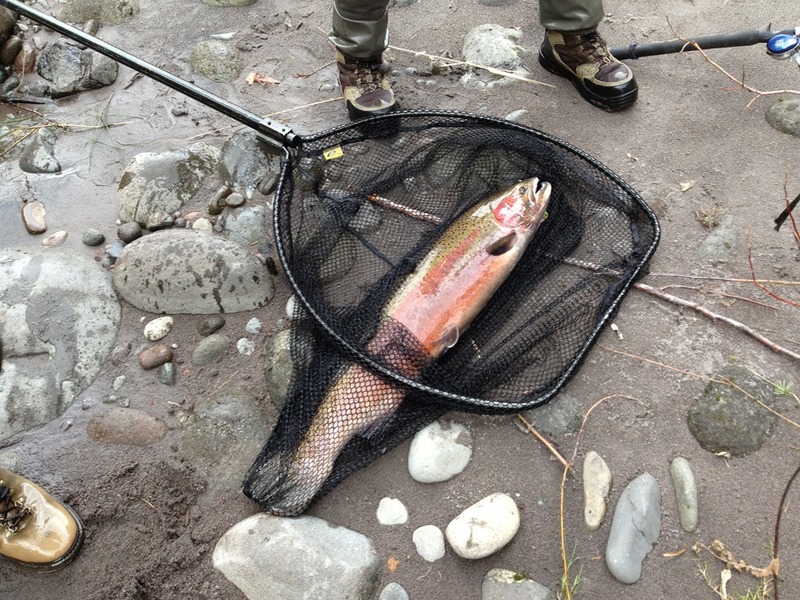 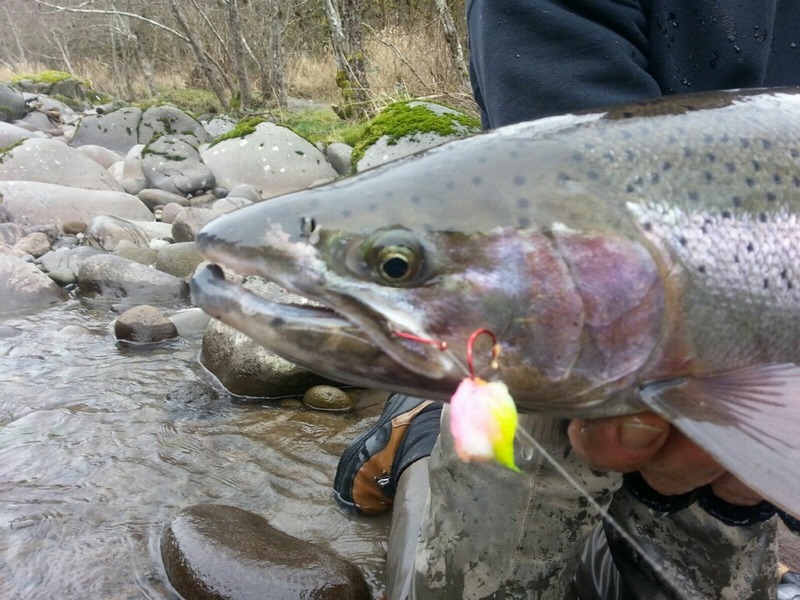 Summer Steelhead should start to show themselves in the lower rivers also in the next two weeks. 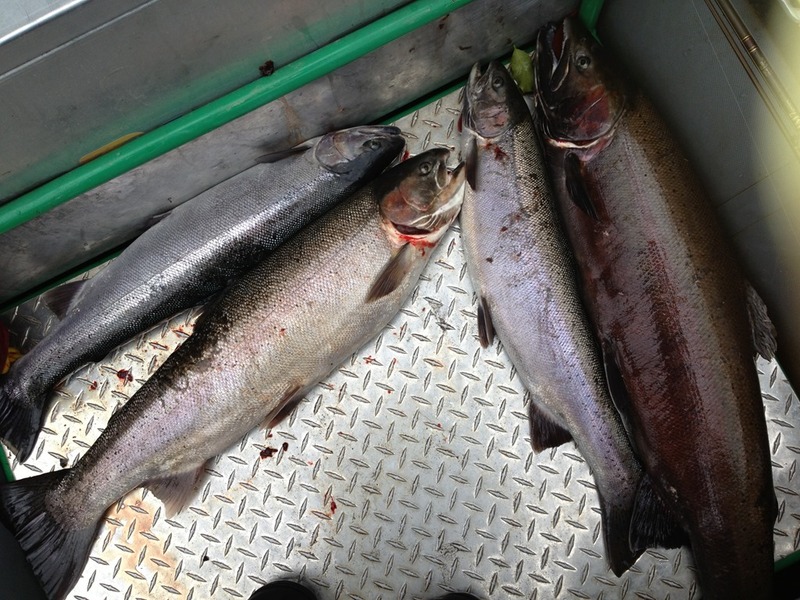 The summers are more aggressive and should be very fresh and ready to rumble. 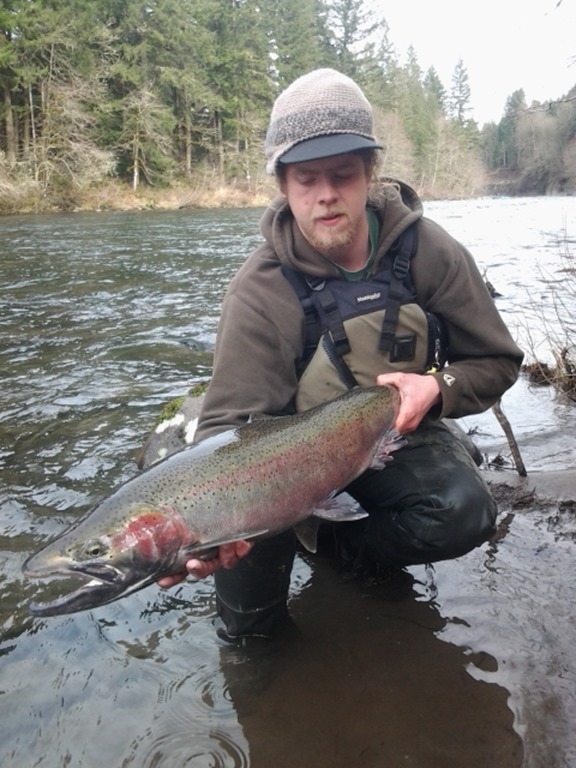 Here are the pics from the last 2 weeks, hope you like em. 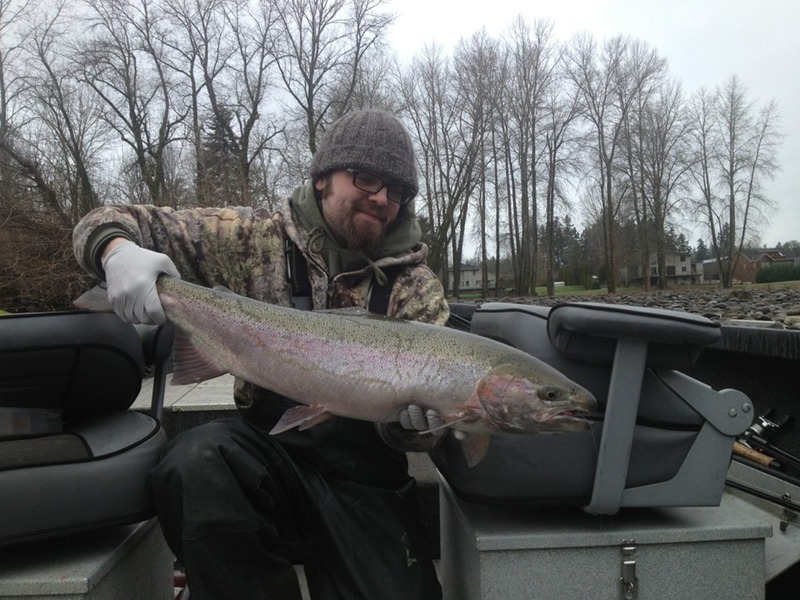 Also there is a video to come in the next couple days.